It’s the time of year that we say “Go Away!” to you. As Director of Internationalisation for the School, I’m passionate about the power of student mobility in giving you unforgettable experiences that will change you, motivate you, and build your CV rather wonderfully, all at the same time. 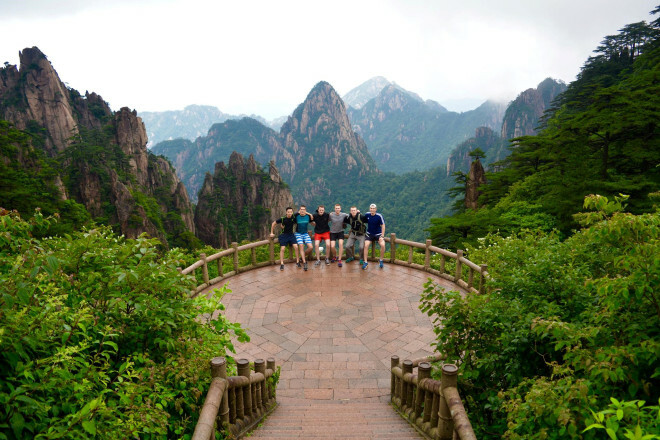 We’ve worked hard over the years to build a set of Engineering-led summer school opportunities, and last summer saw over 50 Engineering undergraduates taking part in summer programmes in Nanjing, China (4 weeks), Caen, France (4 weeks) and Chennai, India (2 weeks), and two, in a team of four, that went to Harbin in January this year. I’m delighted to say that we are now in a position to offer all of these opportunities for Summer 2019/Winter 2020. Nanjing University of Aeronautics and Astronautics (NUAA) host a four-week programme which comprises two weeks of Chinese language and culture classes, followed by a two-week programme on computer-aided machining. The dates are confirmed. The programme will run from 10th June to 7th July. Although it may be of greatest interest and relevance to the mechanical engineers among you, it is open to all, with no prerequisite knowledge or experience. Harbin Engineering University (HEU) will host, for the second time, a four-week summer programme. Rather like the NUAA programme, this will be made up of two weeks of Chinese language and culture, followed by two weeks of technical training. The technical topics are: "control theory and experiment"; "PLC experiment"; "industrial process control” and “innovation and practice of smart car”. The dates are to be confirmed, but likely to be similar to NUAA – possible 3rd to 28th June. In this case, the material will be more for EEE or E&M students, although Chemicals and Mechanicals could also be interested. 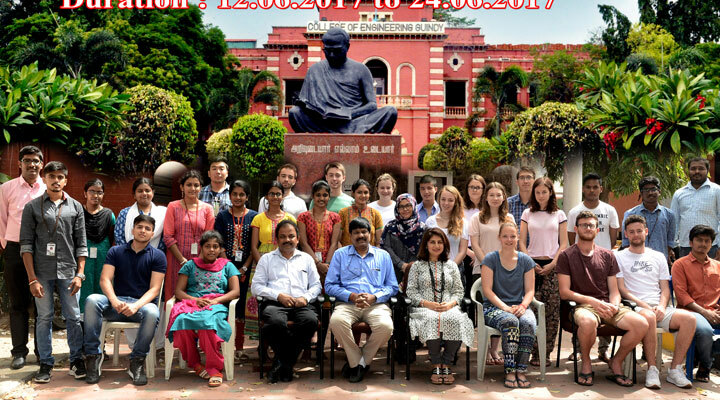 Anna University, in Chennai, host a 2-week programme of lectures and lab visits themes around the environment and sustainability, with a focus on developing nations. 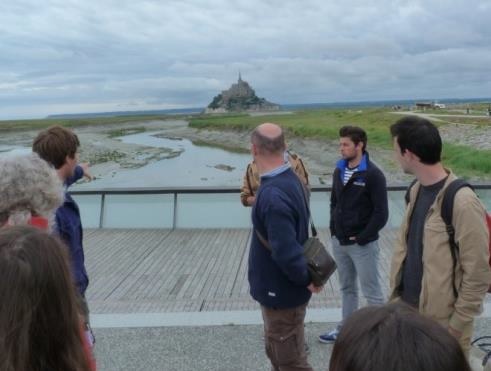 In addition to the academic programme, there is also some local tourism organised into the “middle” weekend. The dates are 10th to 23rd June. The programme is cross- and multidisciplinary and is open to all. (iii) Offshore renewables and aquaculture. These are strongly academic courses with students drawn from across Europe, and with strong private sector input to the courses. The dates are 3rd to 28th June. Given the academic nature of these courses, only students in their honours years (ideally 4th or 5th; exceptionally 3rd) of Civil or Mechanical Engineering can be considered. British University in Dubai (BUID) host a one-week programme, Sustainability Spring School. The dates are to be confirmed, but possible dates are 31st March to 7th April (Week 11 of Semester 2). Although it may be of greatest interest and relevance to those interested in sustainability related issues, it is open to all, with no prerequisite knowledge or experience. Harbin Engineering University (HEU) will host, for the second time, a one-week freezing cold winter opportunity. Unlike the other programmes, this will be made up of one week during the Christmas vacation. The team of four, two third-year Engineering students and two Sculpture students, will design and carve a sculpture out of a 3m x 3m x 3m block of snow. The dates are to be confirmed, but likely to be 3rd to 7th January 2020. Applications will be sought in late October 2019. I will start by giving an overview of the four programmes. This will be followed by a poster session at which you can talk with students who participated last year. Refreshments and nibbles will accompany the poster session. ***ACTION*** on you - if you wish to attend this event, please sign up by going to the “Engineering Information” pseudo-course on Learn, and then into the “Go Away” folder, where you should find a sign-up sheet. A note of caution. Last year, all the programmes were fully subscribed in applications. We will discuss the application process and selection criteria at the launch event, but it is fair to say that the strength of your transcript to date is a key factor. A corollary of this is that if you are in your first year with us, it is going to be hard to win a place simply because your transcript is still very short. But by all means come along to the launch anyway - plan ahead - I’m very optimistic that these opportunities will be open again in 2020, and possibly augmented by more. And finally - this year, we are particularly keen to attract interest and applications from those of you who have not been internationally mobile before, and perhaps will need a little extra persuasion that "this *is* for you, too”. If finances are a concern, please don’t let this perfectly natural concern stop you from engaging with the launch event and application… there are ways in which the financial side can be worked on. Similarly, if you are concerned about complex practicalities - please be assured that we will be supporting you every step of the way. Please note: If you are keen, but really can’t make the launch event, then look out for an email which will point you to the content and next moves.